The pottery tradition in Nicaragua is an important and enlightening representation of Nicaraguan cultural heritage. With current and recent political and social turmoil dominating the international news surrounding Nicaragua it is vitally important that the countries history and heritage receive a wider, more encompassing view. Because of the rocky recent history and colonial past in Nicaragua there is a glaring lack of accurate information on the cultural heritage of Central America. Costa Rica with political and economic stability and a focus on the subject has been able to dominate the discussion surrounding the indigenous history of the region. The “Museo de Jade” or National Jade Museum in San Jose Costa Rica is the world authority as a collection of artifacts and information of the Gran Nicoyan region. 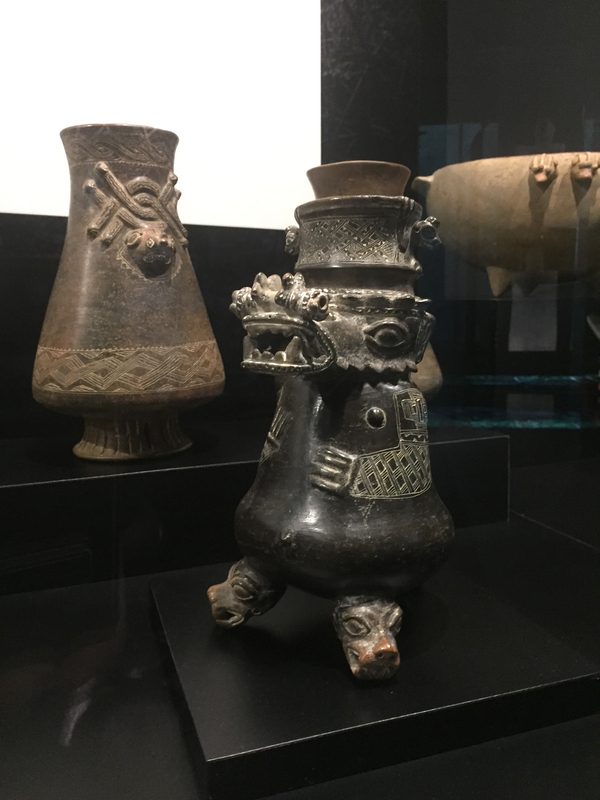 Throughout the five stories of exhibits of cultural objects masterfully displayed of clay, stone and of coarse jade, expert archeologists understand the region and time period of the Gran Nicoya region represented both modern day Costa Rica AND Nicaragua. What are two countries today were not separated by boarders at the time these indigenous people thrived in coordination during the Maya civilization in the north. However, today, it is the small indigenous pueblo of San Juan de Oriente, Nicaragua which most currently and correctly identifies and represents that shared heritage with it’s contemporary extension of the cultural in the pottery art produced by hundreds of village potters. Whereas the capital of Costa Rica has the jewel collection of ancient artifacts, Nicaragua has the collection of modern day indigenous artisans keeping alive and innovating the artistic legacy those Native people’s left behind. It is now nearly 23 years since I arrived to San Juan de Oriente, Nicaragua as a Peace Corps Volunteer that I can clearly relate the current artisan pueblo life to the lost cultural heritage. I can only hypothesize that I have sold around 10,000 clay objects ranging from tourist crafts, to fine crafted pottery art in traditional and contemporary design, to true museum quality object crafted by some of the finest cultural potters working in the world. What links it all together is that they all come from one place, San Juan de Oriente. The clay pieces tourists find on the beaches in Costa Rica…..are made in San Juan de Oriente, Nicaragua! There is no need to reject the idea that a rich cultural tradition existed in Nicaragua when a shining example and opportunity to explore it exists in the San Juan de Oriente pueblo. My promotion of artwork throughout the US and beyond via the interactive artist exchange program which has sponsored artisan visits to the US from Nicaragua since 1999 has been small but valuable and effective method to introduce the culture and contemporary artisans providing such unique quality. Nicaceramicart.com is the authority for the pottery culture of San Juan de Oriente, Nicaragua. Whereas not every artisan in the village is represented on this site we support and promote the community as a whole. As modern times and technologies allow us the share, educate and sell on a global stage we look forward to both the challenge and opportunities that internet age provides. Enjoy nicaceramicart.com. Follow our social channels for updates, incites and information. We are glad you are here!